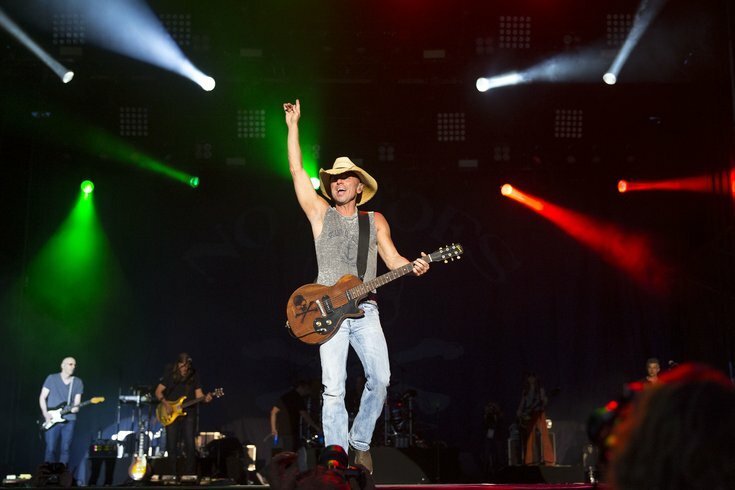 Kenny Chesney performs for a crowd on April 3, 2016, in Las Vegas. Country music lovers don't usually get to hear all of their favorite songs at the bar on a night out, since the genre is generally skipped over on most late-night playlists. Well, on July 23, that changes. Country Crawl is coming to Philly, and each participating bar in the crawl will be playing country music all day and night. Tickets for the 21-plus event are $30 per person and include a mug, admission to the participating bars and drink specials. The crawl kicks off at 2 p.m.